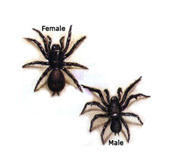 The Funnel Web – the bite is often fatal if not attended to immediately, numerous black spiders look quite similar so extreme care must be taken. 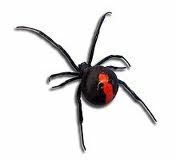 Anti-venom is required, Restrict movement, apply an immobilisation bandage and advise hospital in advance of arrival of anti-venom requirement. This is a painful spider bite and the patient should remain as calm as possible by reassurance. 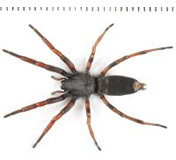 The Red Back Spider – the bite can be fatal, this spider is easily identifiable by the red mark on its back. Anti venom is also required as quickly as possible but do not use immobilisation bandage as the poison is slow moving. Use ice pack to reduce pain and advise hospital of the need for anti-venom on arrival. 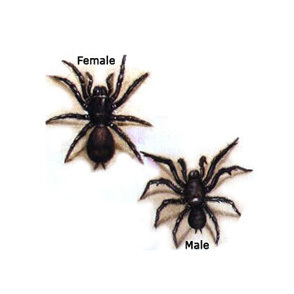 The White Tail Spider – Although this spider bite is not fatal the poison is dangerous. Ice wound, and hospital is again the best course of action to avoid complications.